Barcelona, Spain – 21 February 2018: Greenwave Systems®, the global software leader for managed services, today announced it is offering a new service, following the acquisition of mobile virtual network enabler technology. 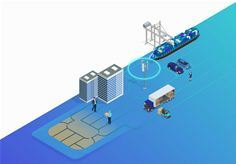 The new service, to be named WAVELY™, will combine a software-defined mobile network’s core services and IoT/M2M connectivity, with Greenwave Systems’ AXON Platform® to deliver a comprehensive end-to-end offering. WAVELY targets businesses that wish to simply and rapidly on-board devices, as well as gain real-time analysis and connectivity management, for leading Industrial IoT deployments. ©2018 Greenwave Systems, AXON Platform and WAVELY are trademarks of Greenwave Systems, Pte Ltd. Other brand names may be trademarks of their respective owner(s). Information is subject to change without notice. All rights reserved.